The purpose of drug detox is fourfold: (1) to manage withdrawal symptoms, (2) purge chemical substances, (3) recuperate the body and (4) return the brain to normal function. Withdrawal should always be avoided, because the longer a person uses drugs or alcohol, the longer it may take to safely detoxify. Those individuals who attempt to quit on their own often have a hard time managing withdrawal syndrome. Sometimes a man or woman may want to deal with a range of personal problems during detoxification treatment. As a rule, men and women who are detoxing are not in the best state of mind to solve significant life problems. They should be persuaded to defer all problem-solving until later. The best thing to do is acknowledge that he or she has important issues to work through, but explain that it is best to take one step at a time, and reassure him or her that there will be plenty of opportunities to handle these issues at a later date. Another issue to look out for are those men and women with a limited ability to concentrate. They may have difficulty absorbing information, so the information may have to be repeated, or even re-worded, to be fully understood and retained. Some people may be irritable, agitated and exhausted; they may experience mood swings or have poor sleep patterns. We go to great lengths to keep communications clear, and positive. We know that good communication between staff and client fosters trust and collaboration. It’s also important to understand that detox is the first step in a person’s recovery, but detox is not treatment. That is why it is important to follow up detox with a recovery program. Drug detox is designed to help men and women attain complete abstinence. If you’ve decided you want to quit – Clear Detox can help. Our comprehensive drug detox program is the first line of defense. It is designed from the ground up to counteract addiction’s powerful disruptive effects on your body, brain and behavior. The importance of drug detox cannot be overstated. It purges poisons, diffuses cravings and manages withdrawal. It also improves thinking, heals the body and breaks the cycle of addiction. The human brain carefully coordinates the activity of billions of neurons throughout the body. When the brain is exposed to chemicals, such as alcohol, opiates and benzodiazepines, normal brain function is overridden and functioning is altered. When a person uses drugs occasionally, their brain is able to return to normal function soon after they stop. But, if someone repeatedly consumes drugs, their brain is forced into a constant state of imbalance. If a brain is constantly out of balance it works to restore that balance. It does so by making neurological adjustments that improve necessary functions such as respiration and blood pressure. These adjustments can sometimes cause other health problems, such as physical dependence. Physical dependence means an individual is susceptible to withdrawal symptoms whenever he or she stops drinking or using. Dependence occurs because the brain has adapted to the constant presence of drugs. If you are addicted to opiates, alcohol or benzodiazepines and abruptly stop, you’re going to feel sick – to greater or lessor degree. Unfortunately, when some individuals stop they experience acute withdrawal symptoms. This group can never safely detox without professional help. If you’re in the throws of withdrawal and you feel things like – nausea, low energy, headaches, irritability, body aches and food intolerances you probably need to check yourself into a professional medical detox center. We can help you quit drinking right now. We offer families the best value for their hard earned money. To help you stop we developed an alcohol withdrawal treatment program that’s pure common sense. It’s virtually painless and it’s affordable. This way the job gets done and it doesn’t break your bank. Most counties across California have recognized a serious Xanax dependency problem. Physicians have been over prescribing Xanax for everything from insomnia to anxiety. If you cannot stop taking Xanax we can help. 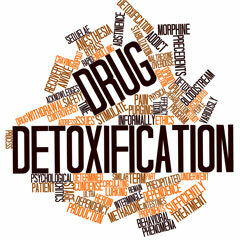 Orange County Detox is one of only a few benzodiazepine detox centers that treat Xanax dependency on a regular basis. Heroin detox is our specialty. We do more successful heroin detoxes than any other detox center we know. We get it – nobody wants to feel sick. So we developed a heroin detox program that’s virtually painless. We ensure your health, safety, and comfort with the highest standards of excellence. Our program offers an affordable and comfortable way to detox off heroin that makes sense. It’s an advanced therapeutic approach that helps purge away any remaining heroin while tenaciously managing any opioid withdrawal symptoms.